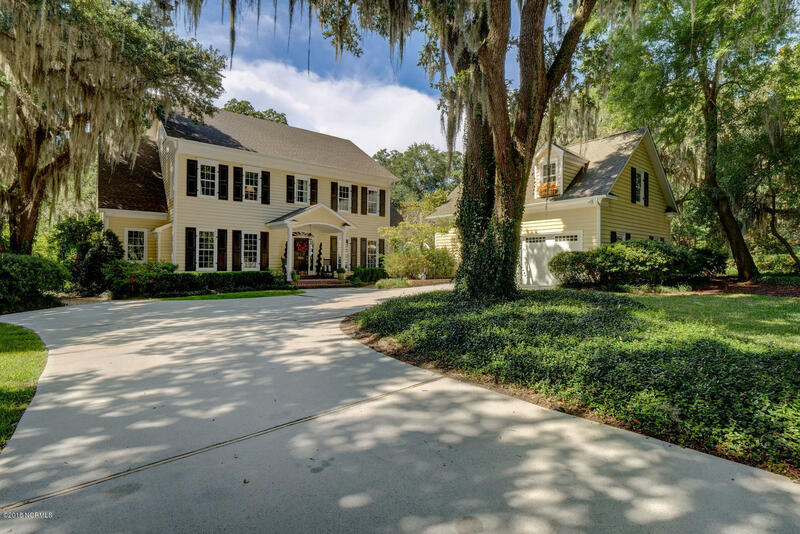 This is a must see stunning home bursting with southern charm. Located in the sought after Parsley and Hoggard school district and in the beautiful Windward Oaks community. The 1st floor has a formal dining room, study with a gas fireplace, large kitchken that is open to the living room, a bedroom and a full bathroom. Upstairs boasts a beautiful master bedroom and bath with 2 walk in closets, 3 other bedrooms and 2 baths. This home has a large walkable attic that could be finished into more living space. There are several live oak trees draped with moss in the front and backyard. A sprinkler system with its own well, a 2 car detached garage with an additional 506 heated sft that is finished and perfect for a gym or game room. The backyard has a deck, brick patio.